Boca Raton is a gem of a place – polished, multifaceted and sought-after by the discriminating luxury real estate Buyer for the better part of a century. This serene and sun-kissed South Florida city is located on a pristine stretch of the Atlantic Ocean coastline thirty minutes’ drive south from the ultra-luxurious town of Palm Beach and one hour north of the hip, happening, multi-cultural, International vacation mecca of Miami Beach. 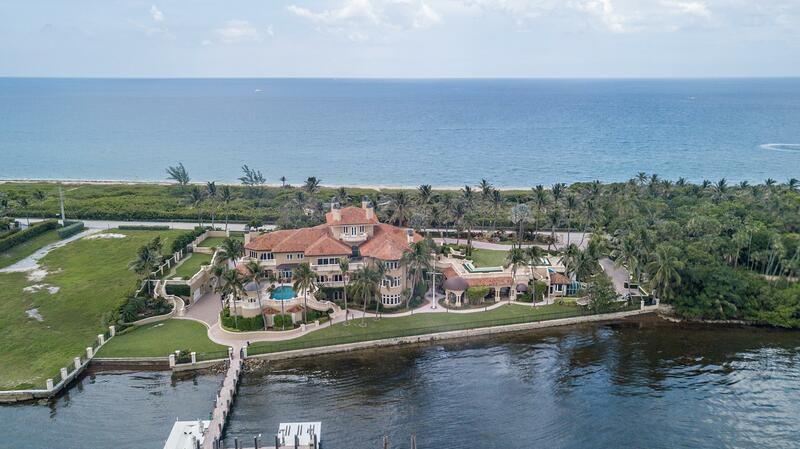 Boca Raton, with its’ luxury waterfront real estate for sale, is considered by many to be Palm Beach County’s year-round playground for the family orientated elite. 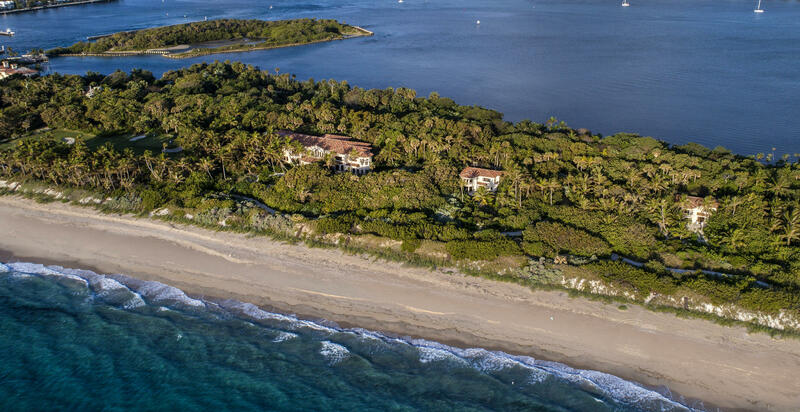 If you’re planning on investing in real estate on this slice of paradise, you will need dedicated and knowledgeable Boca Raton Realtors by your side. 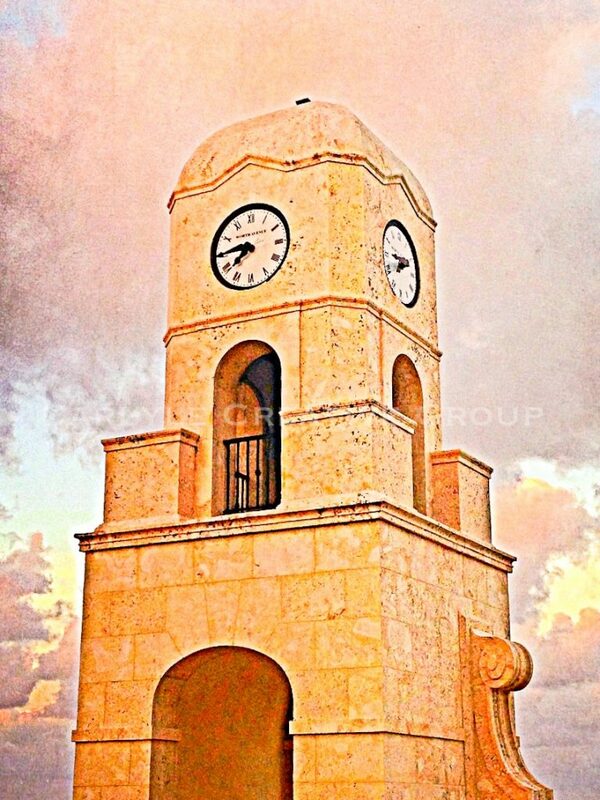 Apart from being Boca Raton Luxury Real Estate Specialists and one of the few remaining personal service-committed boutique firms along the Gold Coast of South Florida, Luxury Resort Portfolio and its’ founders are full-time Boca Raton country club homes residents. 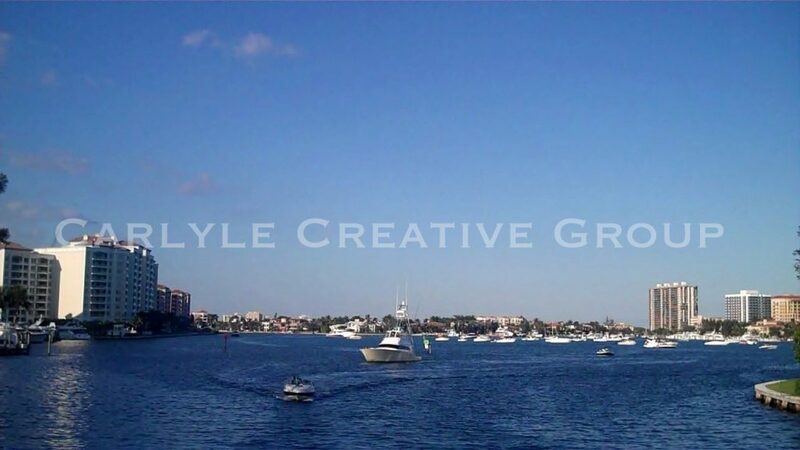 Philip and Carla Smith, professionally known as “The Smiths” of Luxury Resort Portfolio, and their local market knowledge of the surrounding areas of Delray Beach, Gulf Stream, Manalapan and Palm Beach is unmatched… and together they are often referred to as “the dynamic force in South Florida’s high-end luxury real estate market“. Whether you wish to purchase a Delray Beach Oceanfront Estate, a Boca Raton Luxury Waterfront Condominium “Mansion in the Sky” or a horse farm for your jumper, dressage or polo enthusiast in a Wellington Equestrian Real Estate property, The Smiths will provide the confidential, concierge-level service you deserve. The quality of life in Boca Raton is simply exceptional, as your Boca Raton Realtors will tell you. Incorporated in 1925 but settled in the late 19th century, the city and its surrounding areas have long been known as a scenic tropical haven offering relaxation, excitement, sophisticated pleasures and the thrill of the outdoors in equal measure from the laidback coastal beauty of Red Reef Beach, South Inlet Park Beach and South Beach to the gracious Addison Mizner-inspired architecture found in numerous Delray Beach Oceanfront Neighborhoods, Boca Raton Seaside Gated Communities and Palm Beach Elite Country Clubs. In Boca Raton and the adjacent city of Delray Beach you will find an activity that everyone can partake in from the numerous public and private Signature Golf Courses designed by Arnold Palmer, Jack Nicklaus and Gene Bates to championship tennis at the Delray Beach Tennis Center; entertain on the water aboard a posh yacht cruising along the Intracoastal Waterway; explore area museums such as the Boca Raton Museum of Art and the Morikami Museum & Japanese Gardens; enjoy luxurious shopping and dining in Mizner Park, Royal Palm Place, Palm Beach’s Worth Avenue and Delray Beach’s downtown Atlantic Avenue and the newly opened Delray Marketplace; experience first-class lodging accommodations within the Delray Sands Resort on Highland Beach and the world renowned Boca Raton Resort and Club, A Waldorf Astoria Resort. Would you like to learn more about Boca Raton’s numerous attractions? Simplify your search for the perfect luxury oceanfront real estate property in South Florida with the help of experienced Boca Raton Waterfront Realtors, The Smiths of Luxury Resort Portfolio and their extensive knowledge of the Boca Raton luxury housing market. Let your Boca Raton Realtor be your guide to all the best that the “City for All Seasons” has to offer and provide you with first-hand advice and personal support that will assist you in your new home purchase. What are you waiting for… begin enjoying life to the fullest in this exceptional city by the sea TODAY! 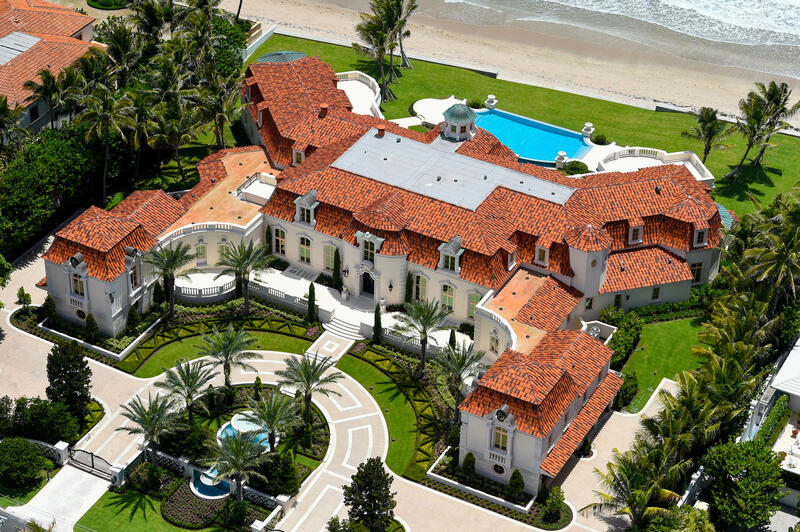 Among the exclusive Palm Beach County communities that cater to the family lifestyle offering Boca Raton luxury real estate for sale are Oceanfront Estates in Highland Beach, Gulf Stream, Manalapan, Ocean Place Estates and the Hillsboro Mile on Hillsboro Beach; Waterfront and Intracoastal neighborhoods of Lake Boca/Por La Mar, The Estates Section of Spanish River Land, the Sanctuary and the Boca Raton Riviera. If a privately guarded community in Boca Raton is more to your families’ preference, inquire about the gated estate enclaves of Le Lac and Long Lake Estates or even the majestic Stone Creek Ranch in the adjacent city of Delray Beach. Boca Raton Country Club homes for sale in the lavishly appointed Royal Palm Yacht and Country Club or St. Andrews Country Club and the ultra-exclusive Palm Beach Country Clubs of Bears Club and Old Palm Golf Club, to name a few, are designed to impress with golf course homes right on the green with verdant fairway vistas, championship tennis courts and extravagant grandly scaled clubhouses offering its’ members first class dining and serene spa oasis’. Have you ever dreamed of living high above the Atlantic Ocean in a “Mansion In The Sky”? 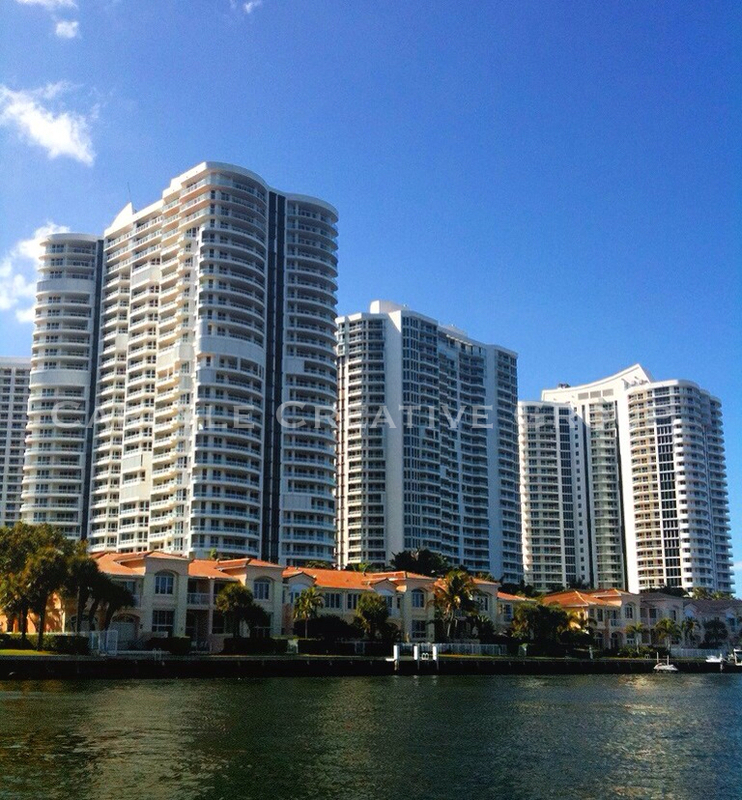 If so… then a Boca Raton Waterfront Condominium is a best bet for your family vacation home needs. Perhaps tailgating at an International Polo Club of Palm Beach championship polo match, Horse Jumping Competition or Dressage Showmanship Tournament is on this seasons’ entertainment calendar – Luxury Resort Portfolio recommends looking into purchasing a Village of Wellington Equestrian Real Estate investment property in Mallet Hill or the Equestrian Club. 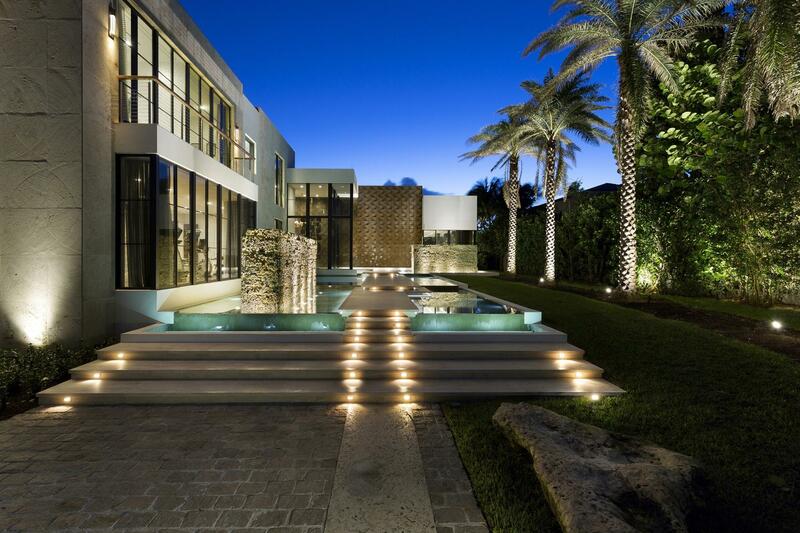 Explore the array of superb options in South Florida luxury real estate for sale with the advice and assistance of Luxury Resort Portfolio, your Boca Raton luxury real estate specialists and knowledgeable Boca Raton Realtors. It is with great pride that Luxury Resort Portfolio offers to you their superb client services. This entry was posted in Luxury Resort Portfolio Lifestyle Guide - The Art Of Living Well and tagged Addison Mizner, Boca Raton Luxury Real Estate Specialists, Boca Raton Realtors, Boca Raton Resort and Club, Boca Raton Waterfront Condominium, Boca Raton Waterfront Intracoastal Real Estate, Boca Raton Waterfront Realtors, Delray Beach Luxury Real Estate, Delray Beach Oceanfront Estate, Luxury Resort Portfolio, Mansions In The Sky, Mizner Park, South Florida Oceanfront Estates, The Smiths on October 23, 2014 by Luxury Resort Portfolio. As Boca Raton is the ultimate waterfront resort city in South Florida, the luxury real estate for sale here is nothing short of mesmerizing with its’ architectural splendor, old world charm and lavish tropical landscapes. When you invest in Boca Raton luxury real estate for sale you don’t just buy a piece of property, you gain access to an outdoor lifestyle defined by the sun, surf and sand. This is South Florida after all, where an active, sporting way of life filled with yachting, power boating, golf or tennis is typical… but where exclusive real estate is concerned, waterfront properties are often the most highly valued – with Boca Raton oceanfront real estate perhaps the most highly valued of all. While no city is perfect, the local Boca Raton government here strives to provide only the best facilities and services to its residents, ranging from prompt fire and safety services to excellent medical care and topnotch schools. The city is well-planned, with many open spaces and tree-lined avenues. 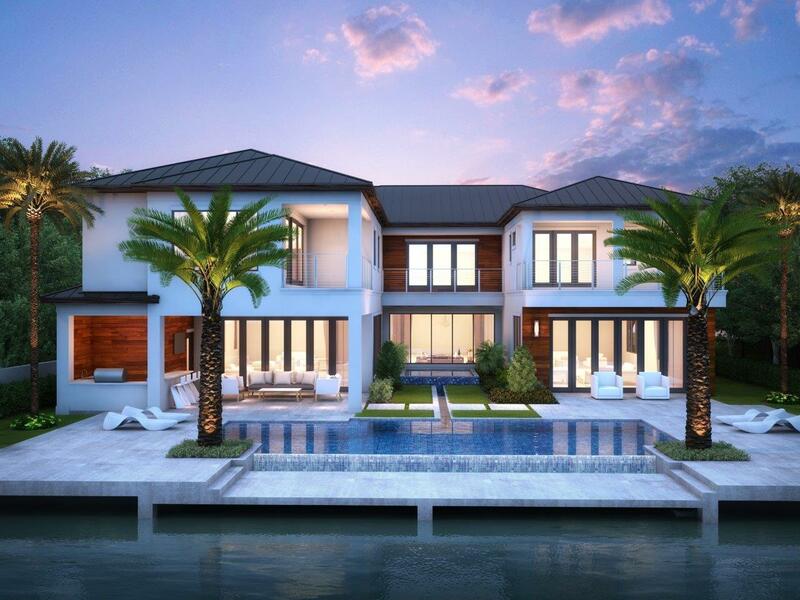 Seen from the water, the city is even more impressive, with sprawling Boca Raton oceanfront homes opening out to private docks and views of the gleaming Intracoastal Waterway. Nestled along the east coast of the Atlantic Ocean, this suburban beach front city of over 200,000 residents is also home to the iconic Boca Raton Resort and Club, A Waldorf Astoria Resort, which has stood as a symbol for the good life ever since the iconic architect Addison Mizner, famous for his Spanish Colonial and Mediterranean revival styles, built it as The Cloister Inn during the 1920s. 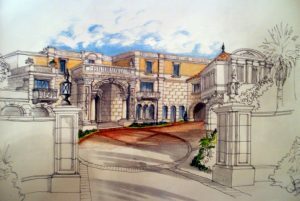 When it first opened its doors in 1926, in fact, it was then the most expensive 100-room hotel anywhere. The Boca Raton Resort and Beach Club, with its elegant pink façade and first-class amenities, is not just a Boca Raton icon, but a Gold Coast one. In this way, it is very much like the city itself, which has always been believed to be the ideal home for waterfront resort communities and luxury real estate. 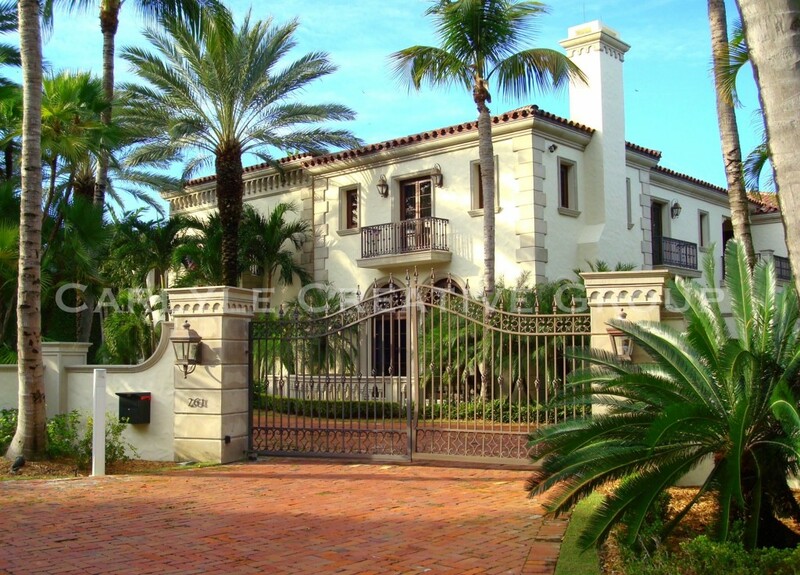 Boca Raton and its nearby family friendly communities along the Gold Coast of South Florida, including Highland Beach, Delray Beach, Gulf Stream, Hillsboro Beach, Manalapan and Palm Beach feature palatial residences that Addison Mizner himself would have felt right at home in. Mizner, who designed Boca Raton to be “the world’s most architecturally beautiful playground,” would undoubtedly appreciate the architectural style of many Boca Raton homes for sale, a significant number of which draw inspiration from the graceful Mediterranean lines of his own majestic Palm Beach style. These days, you can own a piece of the Boca glamorous lifestyle for yourself when you invest in one of the Boca Raton waterfront, country club or gated estate homes currently available. 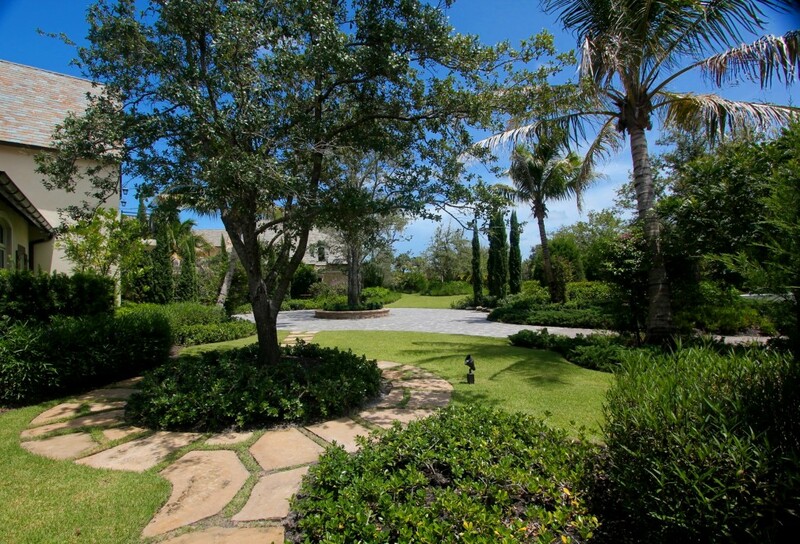 The pinnacle of luxury though are the Boca Raton Oceanfront Estates. These magnificent ocean front residences provide their owners with the best of both worlds – direct access to the beach and waterfront activities and all the comforts of a plush, amenity-filled home. 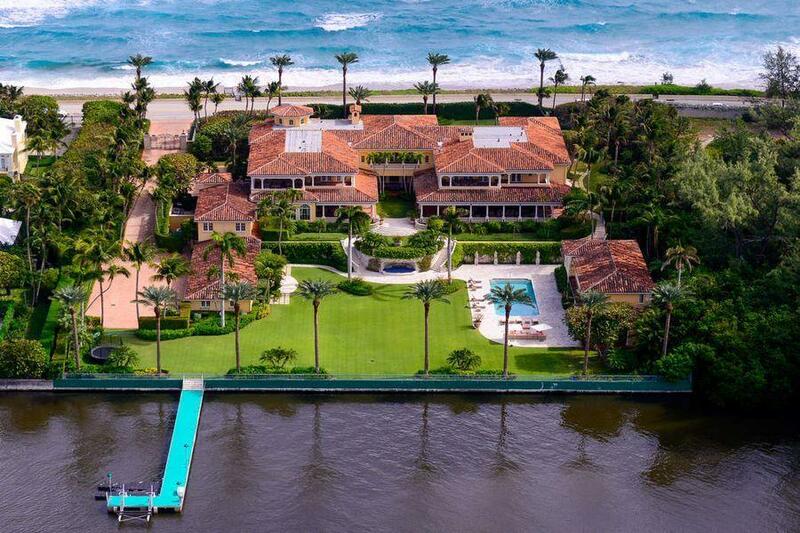 Among the exclusive communities that are home to Boca Raton luxury real estate for sale are waterfront and intracoastal neighborhoods of Highland Beach, Ocean Place Estates, the Sanctuary and the Boca Raton Riviera. If a privately guard gated community in Boca Raton is more to your families preference, inquire about the estate enclaves of Le Lac and Long Lake Estates or even Stone Creek Ranch in the adjacent city of Delray Beach. Boca Raton country club homes for sale in the ultra-exclusive Royal Palm Yacht and Country Club or lavishly appointed St. Andrews Country Club, to name a few, are designed to impress with golf course homes right on the green with verdant fairway vistas, championship tennis courts and extravagant grandly scaled clubhouses offering its’ members first class dining and serene spa oasis’. This entry was posted in Luxury Resort Portfolio Lifestyle Guide - The Art Of Living Well and tagged Addison Mizner, Boca Raton Homes For Sale, Boca Raton Luxury Real Estate, Boca Raton Oceanfront Estates, Boca Raton Resort and Club, Boca Raton Waterfront Intracoastal Real Estate, Delray Beach Oceanfront Real Estate, Luxury Resort Portfolio, South Florida Oceanfront Estates, Waldorf Astoria Resort on October 17, 2014 by Luxury Resort Portfolio. This entry was posted in Uncategorized on October 13, 2014 by Luxury Resort Portfolio. Thank you for subscribing to the Luxury Resort Portfolio – Lifestyle Blog. Do not hesitate to contact us if you have additional questions, concerns, to update your Desired Search Criteria or to schedule an appointment to tour any of these outstanding residences. We look forward to speaking with you soon… enjoy the articles! Luxury Resort Portfolio welcomes the opportunity to assist you with your next South Florida luxury real estate transaction. This entry was posted in Uncategorized on October 9, 2014 by Luxury Resort Portfolio. 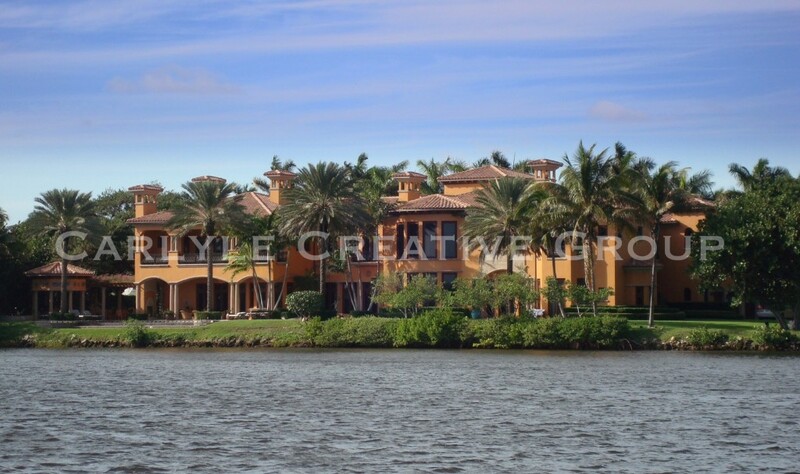 It is with great enthusiasm that Luxury Resort Portfolio is proud to announce the exclusive offering of a magnificent Delray Beach luxury real estate residential property for sale in the prestigious and celebrated lake front enclave of Stone Creek Ranch. 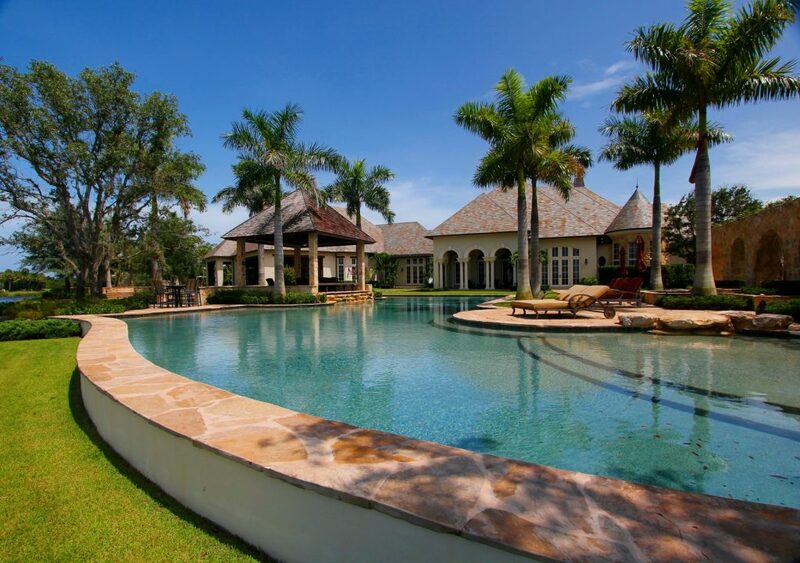 The magnificent Stone Creek Ranch homes for sale in Delray Beach, Florida are nestled amid 187 acres of picturesque verdant vistas, striking lush landscapes and expansive shimmering lakes. Stone Creek Ranch is the ideal setting for what will ultimately be 37 magnificent custom built estates. 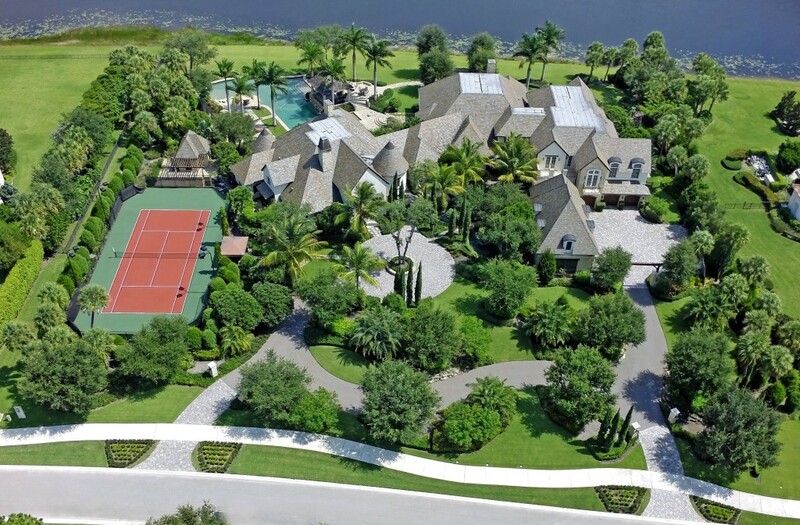 This palatial 20,132 SqFt custom built rural Provence inspired masterpiece in the heart of Southern Palm Beach County, boasts phenomenal first-class, 5 star, resort style amenities from world renowned architect Carlos Martin and nationally acclaimed custom home builder Frankel Estate Homes. 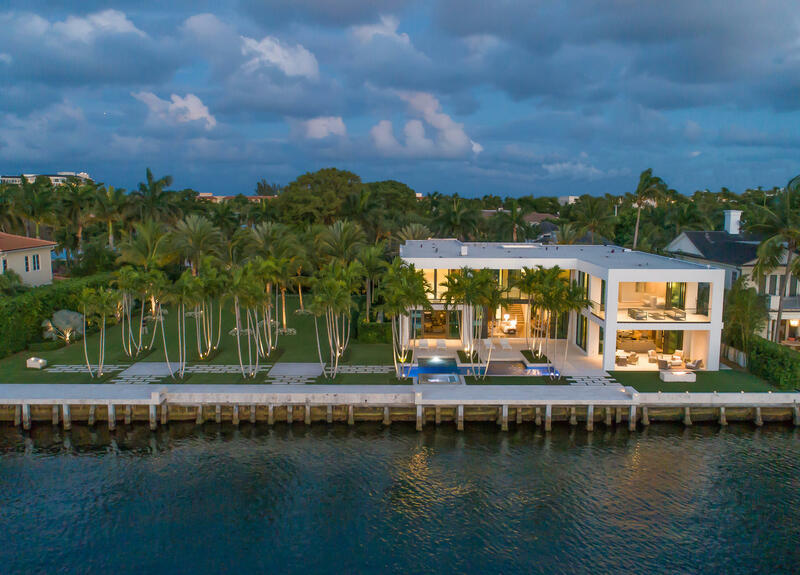 The impeccable suburban Delray Beach mega-home sprawls over 2.5 acres of lavish resort sculpted waterfront grounds created by distinguished landscape architect Krent Wieland Design. Entertain loved ones and friends on a grand, yet intimately comfortable scale, in this one of a kind Stone Creek Ranch family orientated compound that was designed to surpass all expectations with customized features and amenities that rival any first class European Chateau. 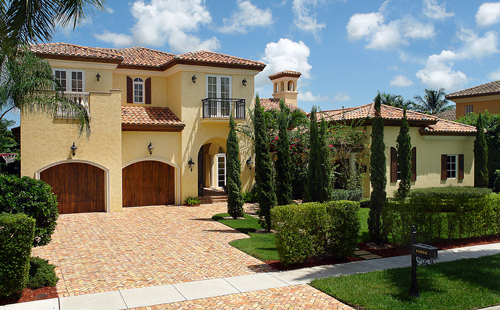 Stone Creek Ranch real estate is one of the Gold Coast of South Florida’s grandest and most elite guard gated communities providing residents with privacy and a taste of the old world influenced grand Palm Beach lifestyle. Bordering other preeminent neighborhoods such as the elite St. Andrews Country Club, Long Lake Estates and Le Lac, the exclusive estate enclave of Stone Creek Ranch in Delray Beach lies adjacent to Boca Raton’s “millionaires’ row” and is only minutes from the world renowned shopping, dining and entertaining of the newly opened Delray Marketplace, historic downtown Atlantic Avenue, Mizner Park and the Boca Raton Resort and Beach Club (a Waldorf Astoria Resort). The fortuitous homeowners that reside in Stone Creek Ranch, which presently include a register of homeowners from world acclaimed Professional Athletes and Owners of Professional Sports Teams to Global Entrepreneurs and Fortune 500 Corporate CEO’s, luxuriate in custom commissioned one-of-a-kind private compounds that are perfectly set on multi-acre opulent lake front home sites. If you are a Buyer that wants to be in Palm Beach County’s most exclusive estate enclave on 2.5 acres of sculpted lakefront grounds… please contact us, as Luxury Resort Portfolio welcomes the opportunity to assist you with this South Florida luxury real estate transaction. This entry was posted in Luxury Resort Portfolio Lifestyle Guide - The Art Of Living Well and tagged 16011 Quiet Vista Circle-Delray Beach-FL 33446, Delray Beach Luxury Real Estate, Delray Beach Real Estate Listing RX-10049422, MLS PROPERTY LISTING NUMBER RX-10049422, Stone Creek Ranch on October 7, 2014 by Luxury Resort Portfolio.